Founded in 1829 as Denmark’s first polytechnic university, the Technical University of Denmark is ranked among the leading European engineering colleges and offers learners a variety of scholastic opportunities from online courses to undergraduate, graduate, and PhD programs. According to the 2013-2014 Times Higher Education World University Rankings, the Technical University of Denmark ranks 117th globally, 43rd in Europe, and 1st in the Nordic Countries for “Engineering & Technology.” As one of the top engineering schools, the Technical University of Denmark (DTU) strives to create value through the natural sciences for the betterment and advancement of society through structured scholastic programs and world leading research opportunities. DTU continues to lead the field in the number of new research publications it produces each year and consistently contributes to the advancement and development of industry partnerships. 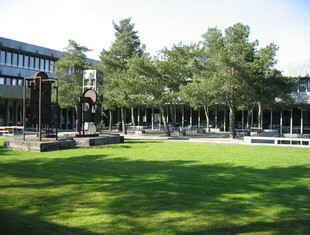 DTU has several distinguished alumni including accomplished computer scientist and developer of concurrent programming theory, Per Brinch Hansen, renowned physiologist and biochemist, Henrik Dam, and chief architect of Turbo Pascal and lead architect of C# at Microsoft, Anders Hejlsberg. Learn from the distinguished minds at the Technical University of Denmark by enrolling in online courses that cover subjects that interest you.